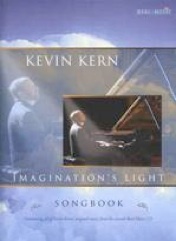 The Imagination's Light songbook is the companion book of solo piano sheet music to Kevin Kern’s 2005 CD release by the same name. 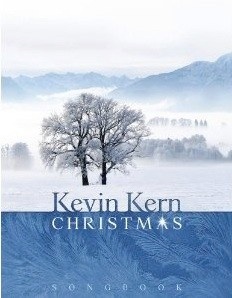 Lovingly transcribed by Kevin Kern himself, these pieces are as close to the recorded versions of the songs as possible. 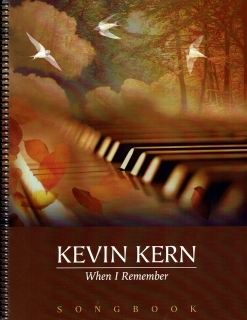 Kern encourages pianists to play the printed music along with the CD, but I think it’s more fun to play the songs just as they are in the book. The arrangements are full, very expressive, and not terribly difficult. Notation is clear and easy to read, making this songbook a joy to play. The only song from the CD that is missing in the book is Sting’s “Fields of Gold,” due to licensing restrictions, but the other ten pieces are here in all of their melodic glory. Although the music is not “terribly difficult,” it isn’t simple, either. Most of the pieces are suitable for upper intermediate and early advanced levels. More advanced players will enjoy how the music flows from their fingers. The Imagination's Light songbook is available from realmusic.com. Highly recommended!